*We guarantee to have you dancing within your first beginner’s special program! Private classes may be scheduled from 10:00 am- 10:00 pm, seven days a week. To see a full calendar of events, click here. 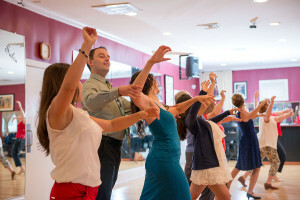 Both private classes and group classes may be held in one of our two beautiful ballrooms.